SUITABLE For ANYONE - This bottle can be curled up, it's very convenient to carry, kids can take it to school, and sports enthusiasts can take it to any place outdoors. 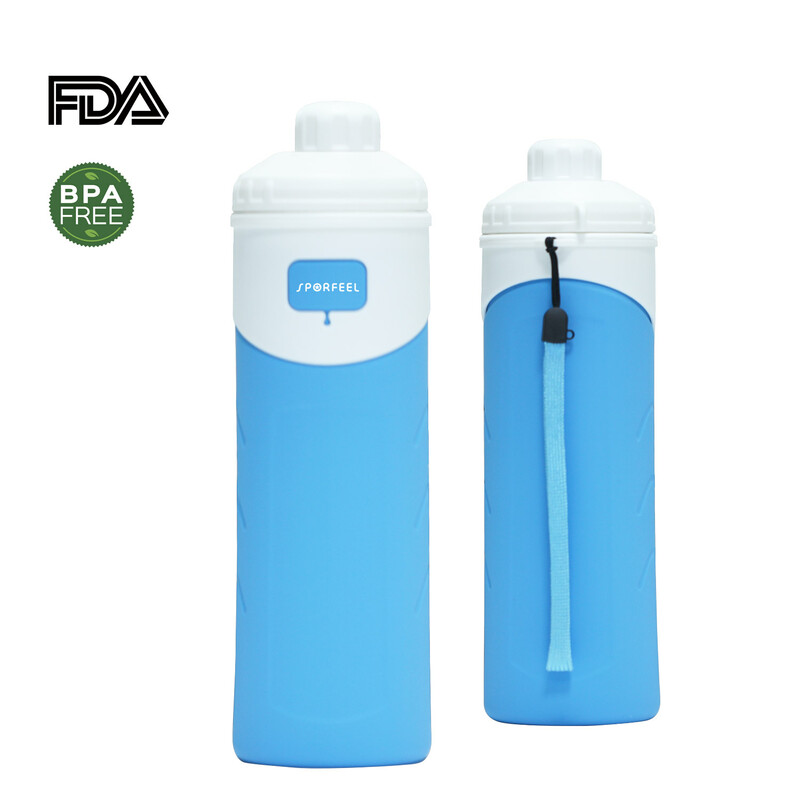 KEEPS YOUR DRINKS TEMPERATURE - Crafted from high quality insulated silicone, this sports water bottle keeps your drinks and beverages warm or cold for much longer. QUALITY SILICONE MADE - Designed to satisfy all of your daily needs, this silicone water bottle is generous in size but not bulky at all. Our water bottles are LFGB, BPA free and 100% safe for use. NEVER LEAK INTO YOUR BAG - Thanks to its leakproof and spillproof craftsmanship, this water bottle will never leak inside your bag. GET THIS INSULATED WATER BOTTLE With GUARANTEE - Since your satisfaction means the world to us, this silicone water bottle is backed by our unconditional money back guarantee policy! Just in case you don't simply love it.